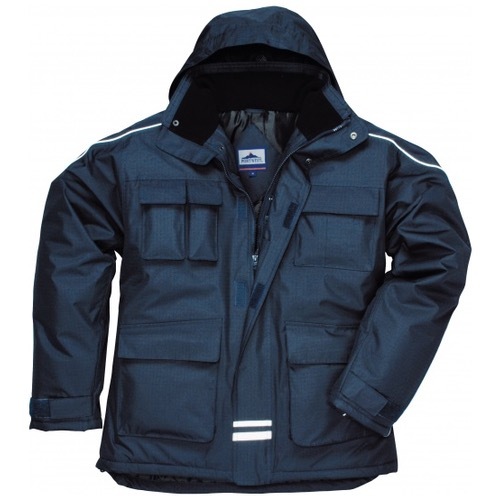 The Portwest S563 is an excellent, hardwearing jacket. The polyester fabric combined with the ripstop pattern provides an extremely strong yarn with improved tear resistance. Thick wadding and the fleece-lined collar and chinguard keep warmth close to the body. Multiple pockets provide for all storage needs.